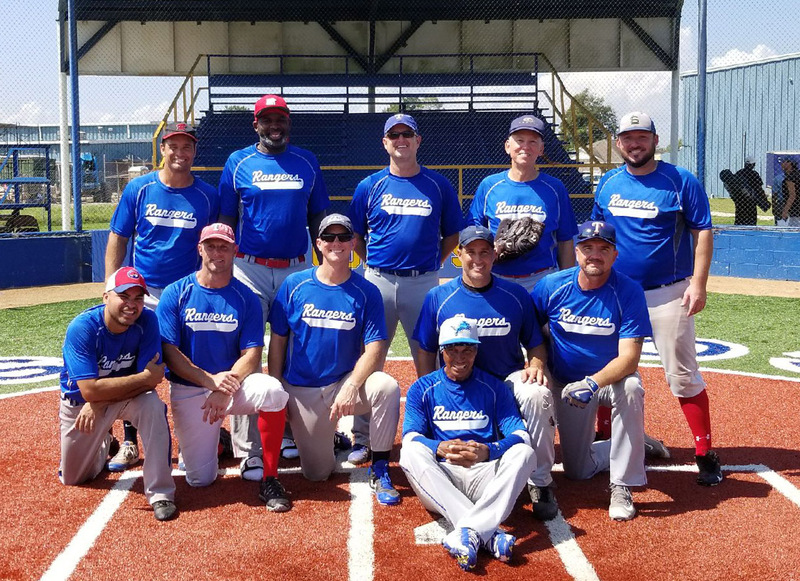 The Diamond Dreams Baseball League Championship took place Sunday August 12th. The regular season champion Rangers (going 12-1) bested the Yankees in a high-scoring affair, 13-6. The Rangers secured the victory thanks to seven runs in the fourth inning. The big inning was driven by singles by Phil Babin, Bob Oster, and Brian Kennedy, walks by Ernest Neves and Todd Hibbs, and by Mike Loftin. This past August saw a repeat of the Rangers versus the White Sox for the Diamond Dreams League Championship. The Rangers won a well played game by both teams, with the final score being 4-2 Rangers! Congratulations to both teams for a great season! 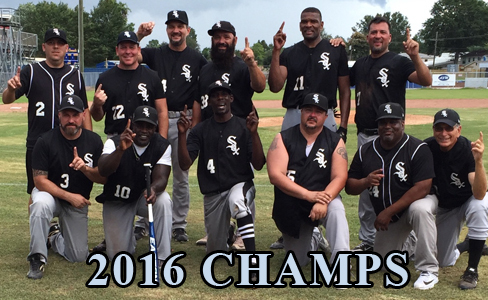 On Sunday August 21, 2016 at St. Charles Catholic, the championship game between the 2015 Champion Rangers and the White Sox took place with the Sox prevailing 5-4. This game took 11 innings before the outcome was determined. With two outs in the top of the 11th, Lynn Brehm smacked a double to drive in Luke Suarez with the deciding run. Leading hitters for the Rangers were: Todd Hibbs, 3 for 5, 1dbl, and Bob Oster, 2 for 5. For the White Sox they were led by: Lynn Brehm, 2 for 5, 1dbl, 2RBI, Luke Suarez, 2 for 4, 1RBI, Reggie Hilliard, 2 for 5, 1dbl, 1RBI, Dyron Morris, 2 for 5, 1DBL, and Jody Simoneaux, 2 for 5. Dyron Morris got the win in a relief appearance for the Sox. Congratulations go out to both managers and their teams for a very exciting game. 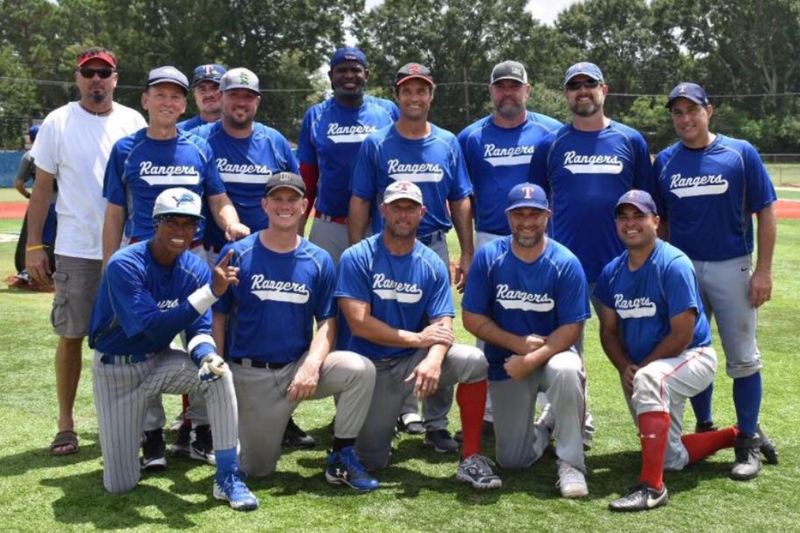 This past Sunday, the Rangers defeated the Reds 8 - 5, to win the to become the overall champions of the Diamond Dreams Over 40 Baseball League for 2015. Leading the Rangers at the plate were: Brian Kennedy 2 for 2, Mike Lofton 2 for 3, 1RBI, Ernie Neves 2 for 4, and Brad Washington 2 for 4, 1DBL, 1RBI. Spencer Ott pitched 7 2/3 innings and picked up the win for the Rangers. The Reds leading hitters were: Ricky Philibert 3 for 3, Anthony Giovingo 3 for 4, 1HR, 2RBI, Jacques Jobert 3 for 4, 1RBI, Brian Singleton 2 for 2, and Michael Windham 2 for 4, 2RBI. Alfred Albert pitched the last 8 innings and was tagged with the loss. Our News Archives go back to 2010. Read all the past action. See who's in first and see your team and personal stats.